How many of us have conceptualize our designs this way? How many chicken scratches and doodles actually grow up to become a real product? 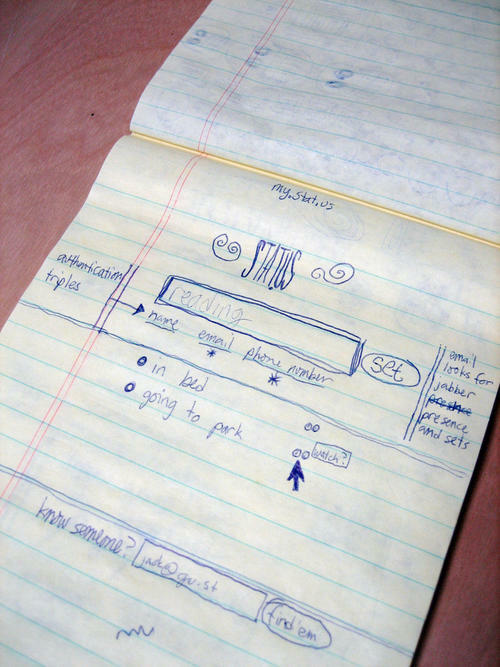 Here are the paper sketches that were the beginnings of Twitter from Jack Dorsey’s Flickr. The LinkedIn Edition: What Kills Site Conversion? Looking For A Place To Collaborate On Designs Virtually? Try Out Hunie.